I started to work with performance during my MA studies at Bergen National Academy of Arts and Design. It was a discovery on how to put out my ideas, without the borders of materialisation. It was something that gave me freedom and understanding. I do always let the idea itself choose which form its going to take in my practice. Sometimes it can be materialised as textiles, paintings, sculptures or performance. I do not limit myself. Maybe this is my process. But is just something that I normally do. I try not to be so judgmental. and that is a series of works that takes Ludwig Wittgenstein’s book “Remark on Colours” as a starting point. 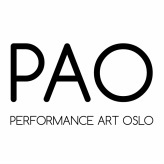 One of those works is the performance that I will show this November in collaboration with PAO. The performance has a tittle: BLUE KILL YELLOW. And is about the drama in the colour study. It is a fight between Ludwig and Goethe. But at the same time, a love affair between my self and colour theory. expressions? How do they influence / inform each other? I am trained as a weaver. So textiles are something that I have worked on continually. But performance has been taking up a large part of my practice. As I said before, I try not to be judgmental. I am always challenging myself and the others around me.